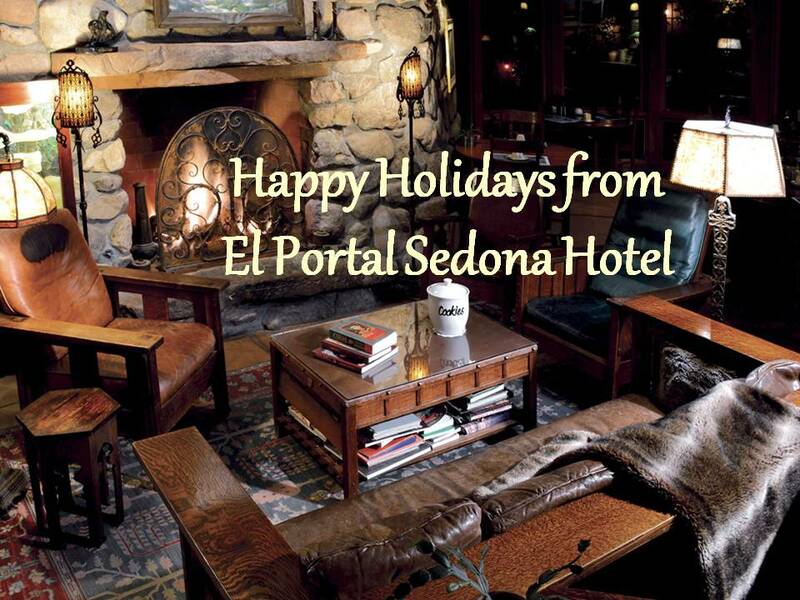 El Portal Sedona Hotel ~ Favorite Hikes! 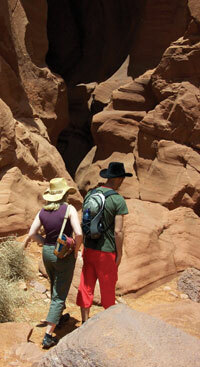 No trip to Sedona would be complete without a hiking excursion in the gorgeous surrounding terrain. The staff at El Portal Sedona Hotel can help you choose hiking trails that suit your interests and fitness level, but here are a few of our favorites. Devil’s Bridge is considered the largest natural arch in the Sedona area. It is fifty-four feet high, five feet thick, and spans over 45 feet. From atop the cracked and fractured sandstone arch are dramatic views of the canyons, mountains and red rock cliffs. 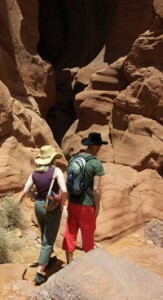 The trail utilizes natural rocks as stairs to the top of the arch. Two Brins Mesa trails provides breathtaking views of the surrounding mountains and red rock formations, as well as the town of Sedona, which lies 800 feet below. We can help you choose from a number of different loops and trails, depending on your interests. The Wilson Mountain trail provides excellent views from its higher elevation of 7,122 feet. This is a strenuous hike of at least 10 miles and an elevation gain of 2,200 feet, but is a great choice for a less traveled trail with spectacular views. Two popular shorter trails are Vulture Arch, reached by a 1.6 mile trail from town; and the 3 mile Boynton Canyon trail, which ends in a box canyon with vertical Coconino sandstone cliffs rising up to 1,200 feet on three sides. 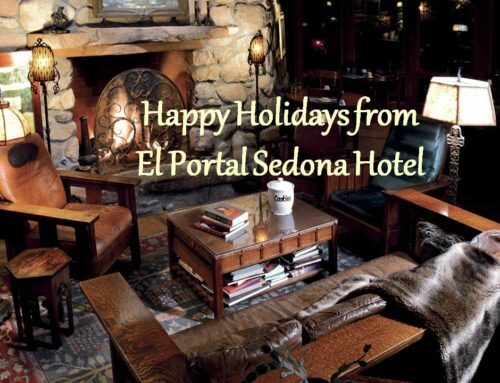 At El Portal Luxury Inn, we love sharing the wonders of Sedona and Arizona with our guests, and making a stay at our hotel an unforgettable experience. 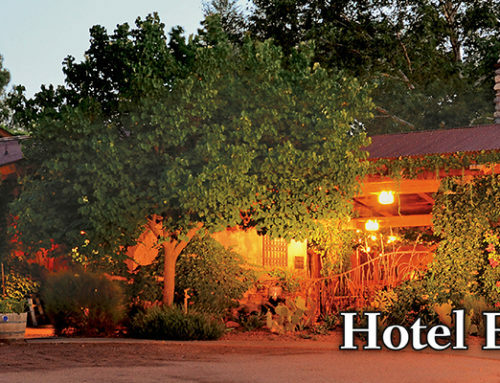 We invite you to take our trip – and have a wonderful Sedona Arizona vacation. Call us at 1-800-313-0017 for rooms, rates and specials!